For information on specific articles, see the section the references section on individual article pages. Additional links may be found in the resources section on the left side of some pages. See also the related sites on the home page. 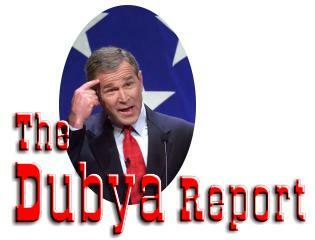 Questions or comments concerning editorials or The Dubya Report site itself may be submitted here.